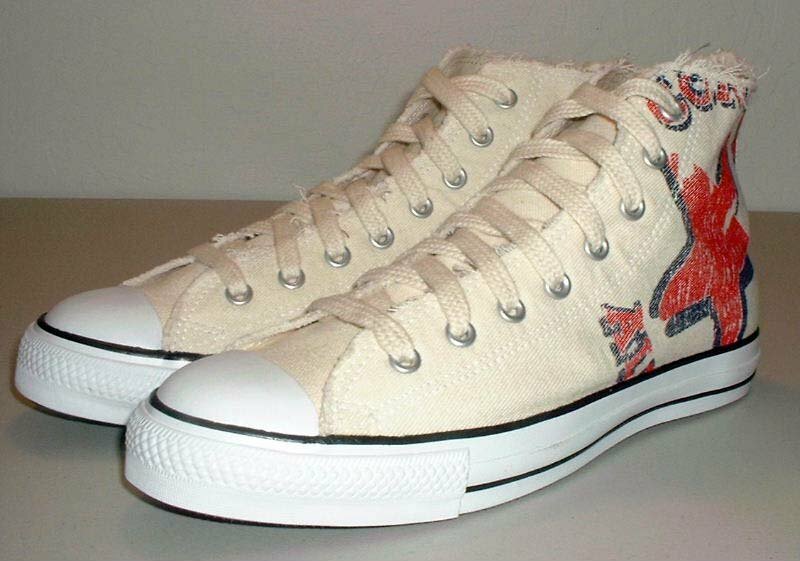 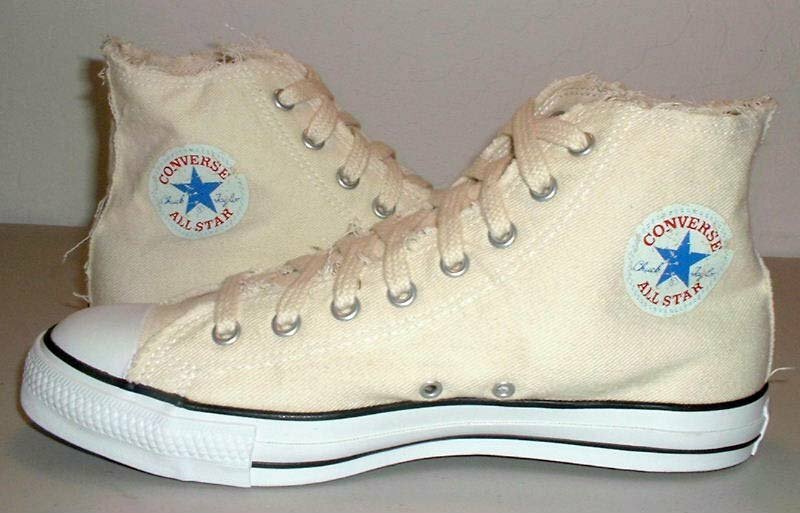 Photo gallery of one of the first distressed models of chucks with a graphic print upper. 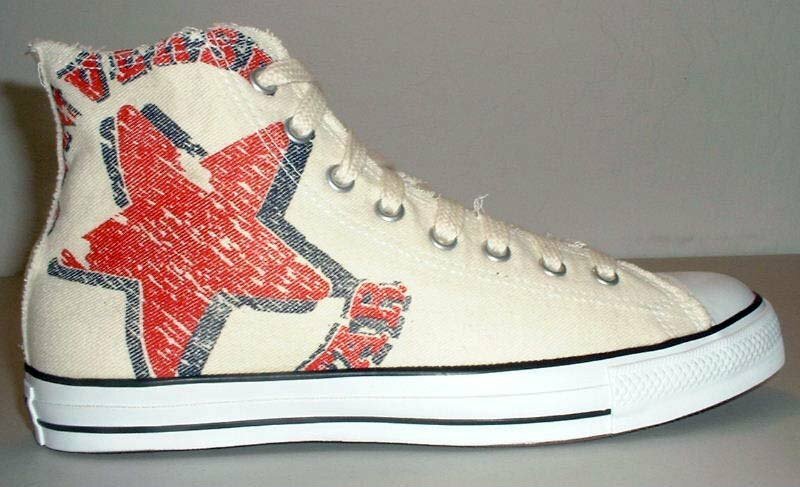 1 Off White Graphic Star High Top Chucks Inside patch view of a left graphic star high top. 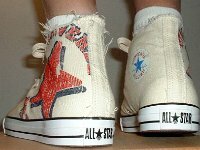 2 Off White Graphic Star High Top Chucks Outside view of a left graphic star high top. 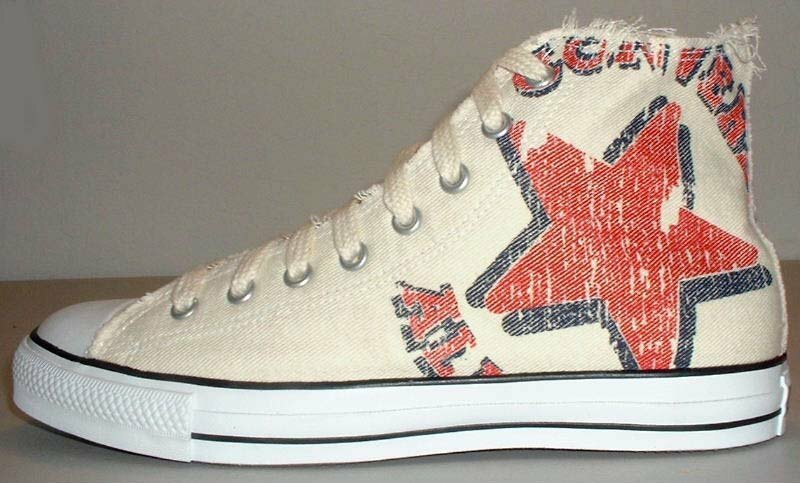 4 Off White Graphic Star High Top Chucks Inside patch view of a right graphic star high top. 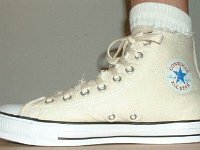 5 Off White Graphic Star High Top Chucks Rear view of graphic star high top chucks. 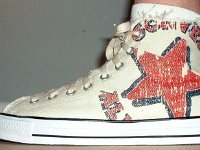 6 Off White Graphic Star High Top Chucks Inside patch and sole views of graphic star high top chucks. 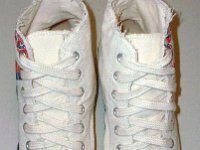 7 Off White Graphic Star High Top Chucks Outside and sole views of graphic star high top chucks. 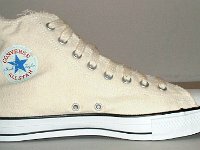 8 Off White Graphic Star High Top Chucks Angled side view of graphic star high top chucks. 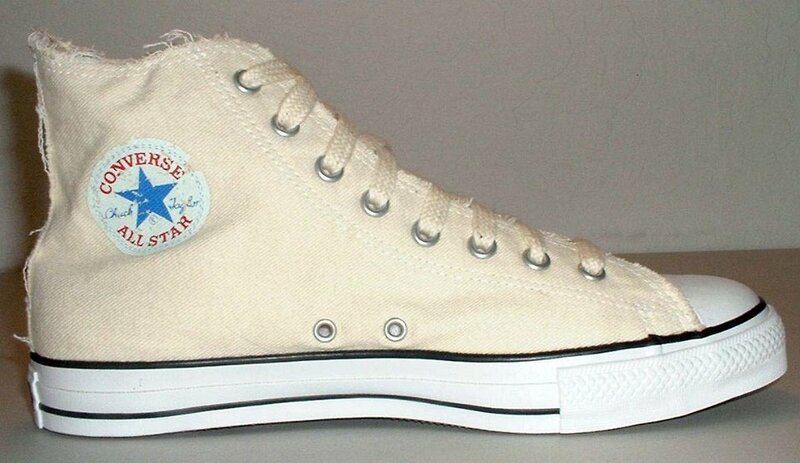 9 Off White Graphic Star High Top Chucks Outside views of graphic star high top chucks. 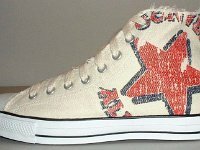 10 Off White Graphic Star High Top Chucks Top view of graphic star high top chucks. 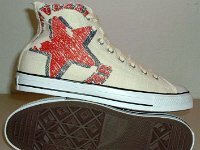 11 Off White Graphic Star High Top Chucks Inside patch views of graphic star high top chucks. 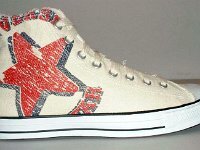 12 Off White Graphic Star High Top Chucks Wearing a graphic star high top, front view. 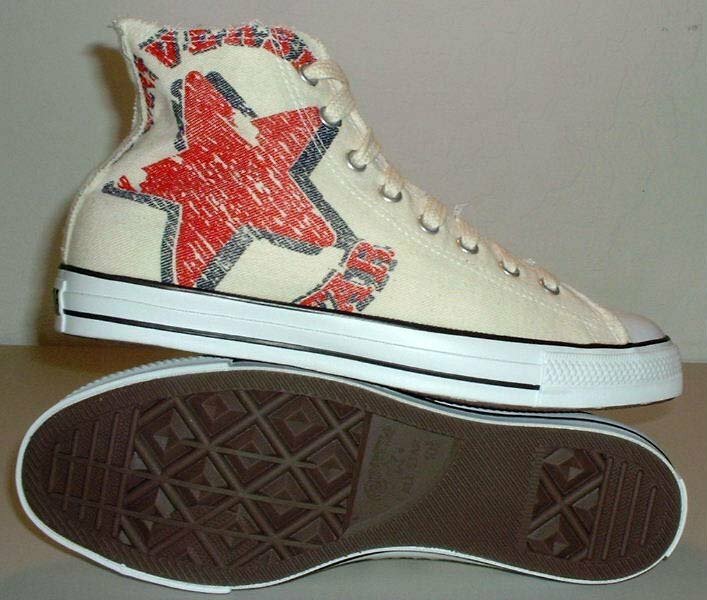 13 Off White Graphic Star High Top Chucks Wearing a graphic star high top, inside patch view. 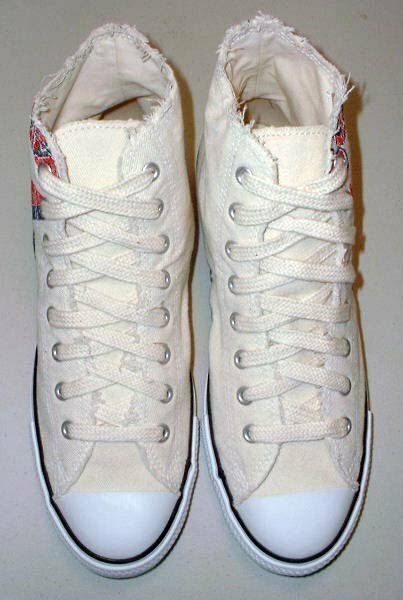 14 Off White Graphic Star High Top Chucks Wearing graphic star high tops, rear view. 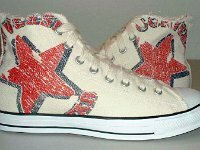 15 Off White Graphic Star High Top Chucks Wearing a graphic star high top, outside view. 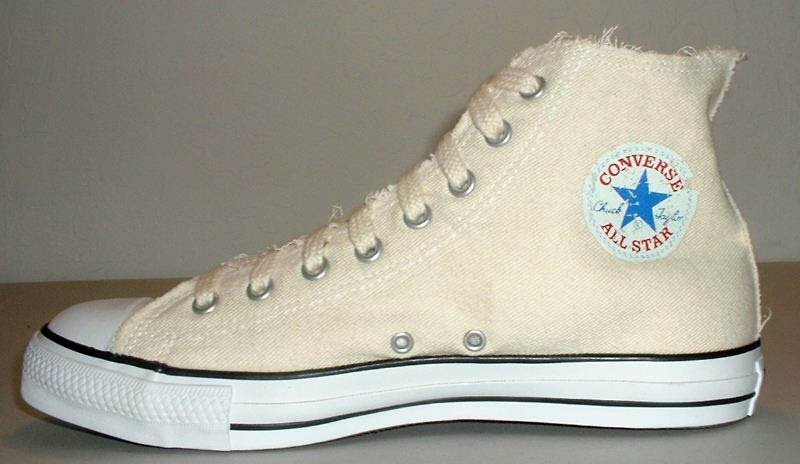 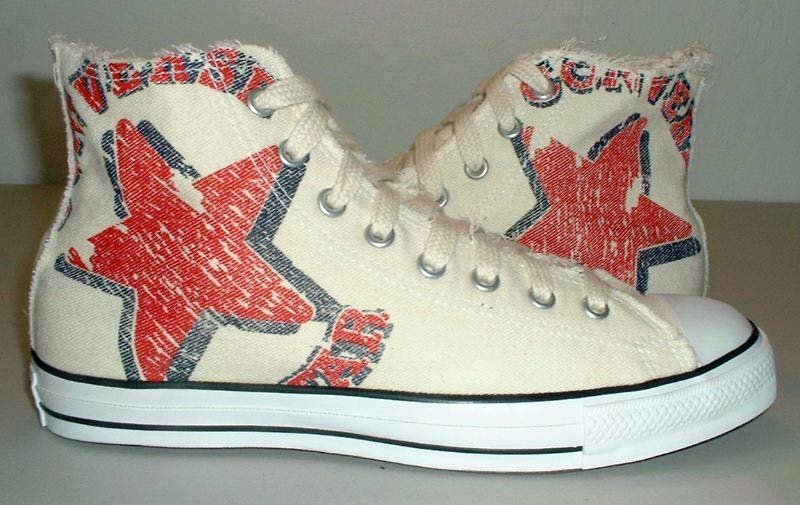 The graphic star high top was Converse's first attempt to create a "distressed" Chuck Taylor shoe. 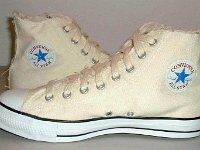 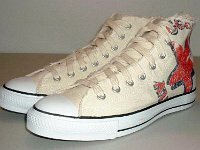 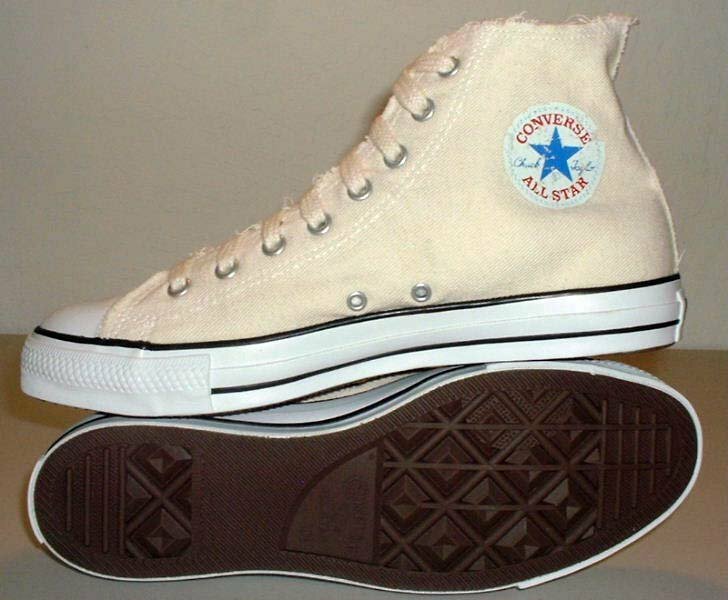 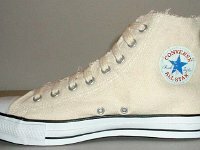 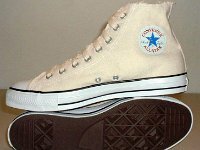 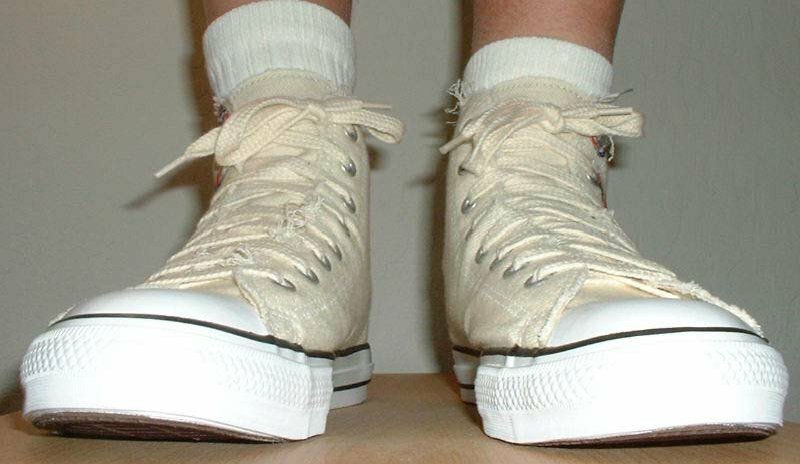 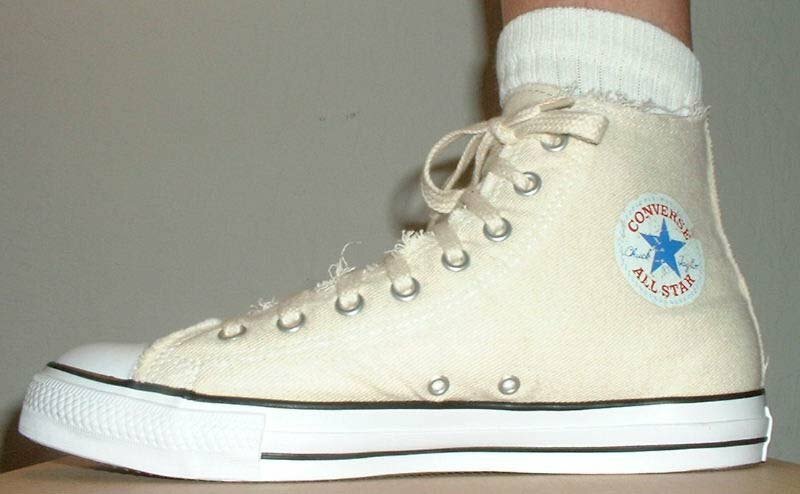 The design of the shoe has a number of different features from regular chucks. 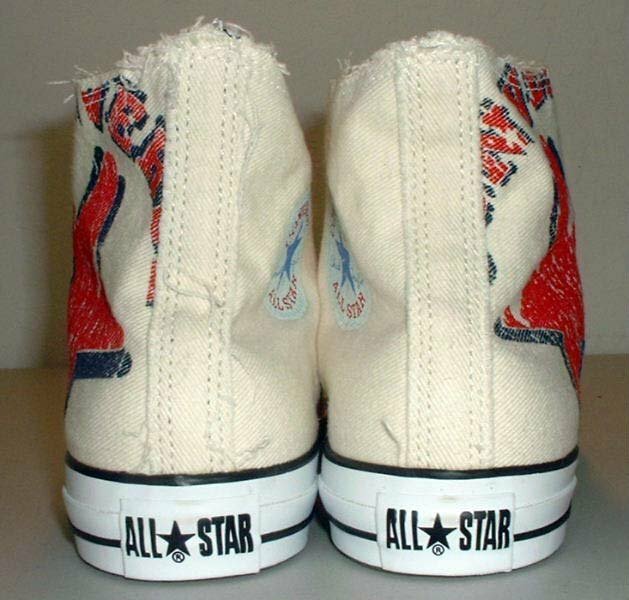 The inside patch was made with a well worn look, the wrap around outer foxing and toe cap on the denim shoe was colored a light blue, there was no extra ankle support on the back to give the shoe a looser look, and the top and rear threads were not trimmed, adding to the distressed look. 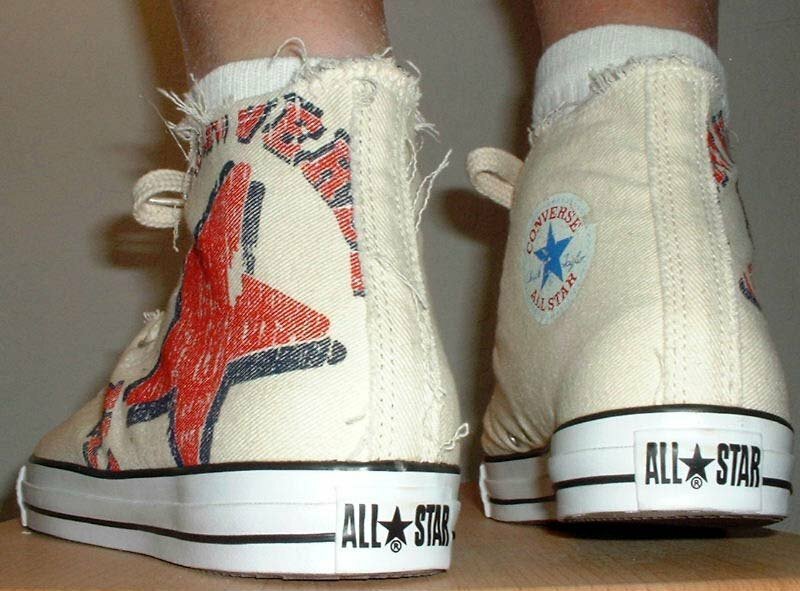 On the outside of the shoe is a Converse All Star graphic design. 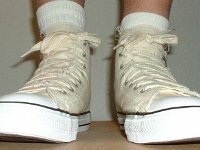 The shoes also came with hemp laces. 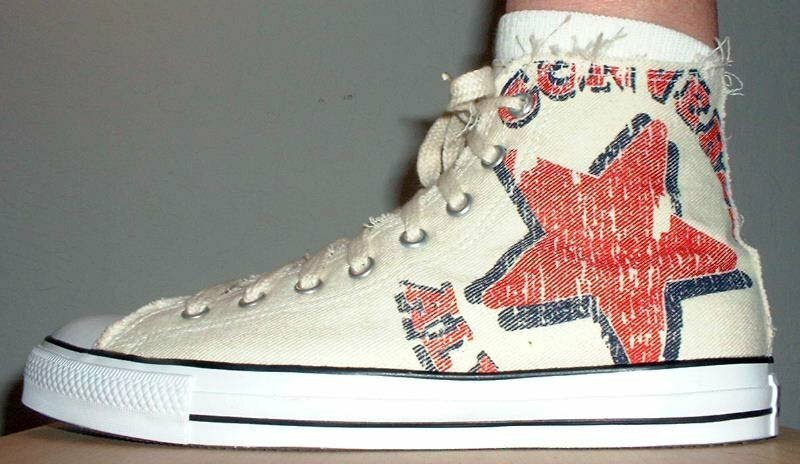 Graphic stars were made in blue denim and off white models. 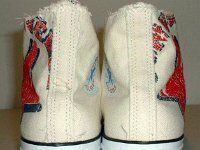 The denim blue model has dark blue outer soles.